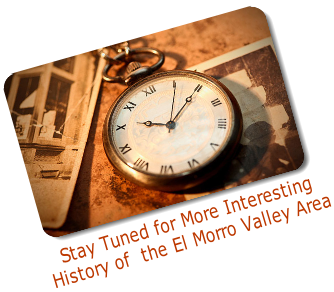 This website offers categorized collections of hundreds of web links to other websites about the El Morro Valley Area. Many websites and web pages are continually changing their web addresses or completely disappearing from the web. This causes a broken link that leads to a "dead end" or to a completely different website that has subsequently assumed that web address. The weblinks on this website are updated infrequently, so you may encounter numerous broken links. We apologize for this inconvenience. 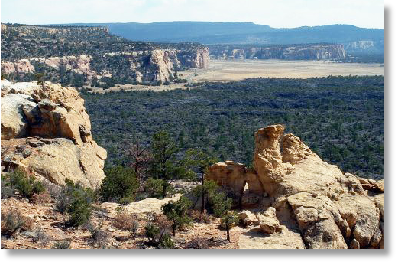 Throughout El Morro Valley, lie scattered the ancient ruins and mounds that long ago were great community centers of the Anasazi - The Ancient Ones. During the 1200s AD, there was massive human migration into El Morro Valley, drawing together social groups with diverse origins and social practices to form new communities, creating situations ripe for social change. 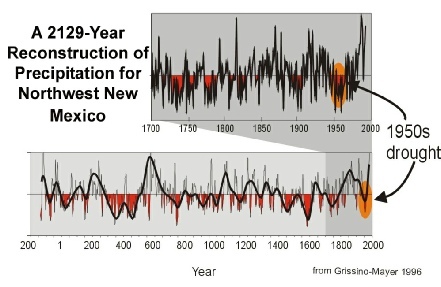 An Anasazi community we now call "Atsina Pueblo" sprang up, high atop El Morro Mesa, with 875 rooms, 1000-1500 residents and was 2-3 times larger (in population) than present day Ramah, NM and larger in size than the better known Pueblo Bonito in Chaco Canyon. 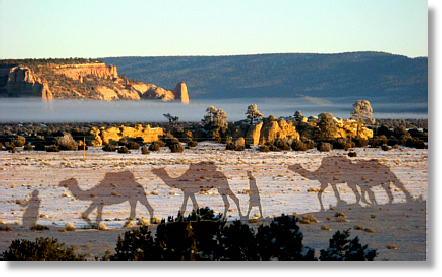 About 800 years ago, Native Americans in the Southwest began building stone citadels and sky-high pueblos. What were they afraid of? 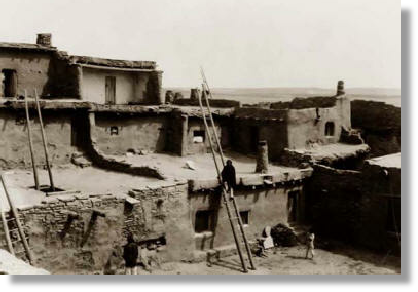 This view of the Pueblo of Zuni, New Mexico in the late 1800's gives a fairly accurate idea of the appearance of Hawiku, on its low hill, when the Coronado army attacked in July, 1540. 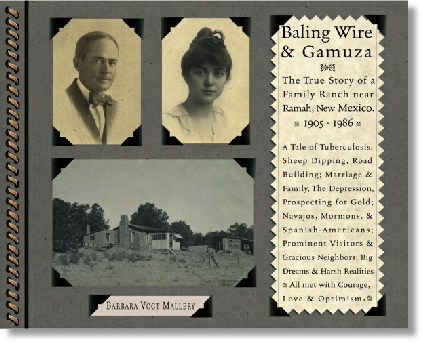 The Old-timers in Ramah can tell you about another old-timer named John Miller, who wandered into the area in the early 1880's and settled here with his Mexican wife Isadora. Rumors began spreading. Supposedly he had confided to several of his closest friends that he was really Billy the Kid. 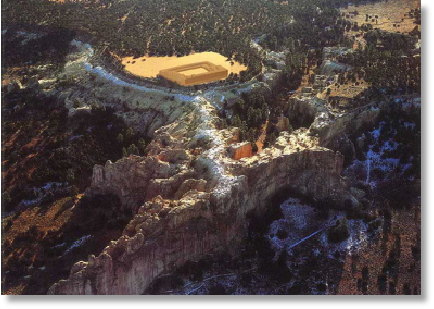 The Lost Adams Gold Diggings… In Malpais? Lost Stolen Treasure in the Malpais? 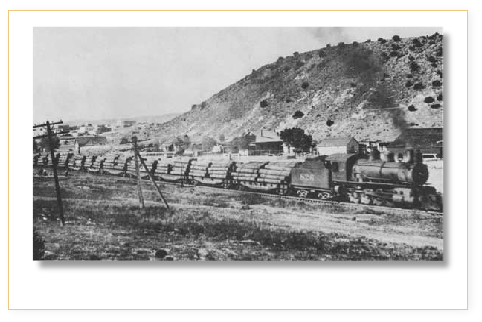 In November 1897, the last train robbery of the Santa Fe Railroad occurred near the Malpais. While accounts differ, the perpetrators apparently belonged to the Black Jack Christian gang. Gang members boarded the eastbound train either before or at Grant's Station. About six miles east of Grant, the outlaws disengaged the baggage cars from the locomotive and express car. Using explosives, they blew apart the safe discovering $100,000 in gold and currency. The bandits headed south toward the malpais hoping to lose any would-be trackers in the gnarled lava beds. 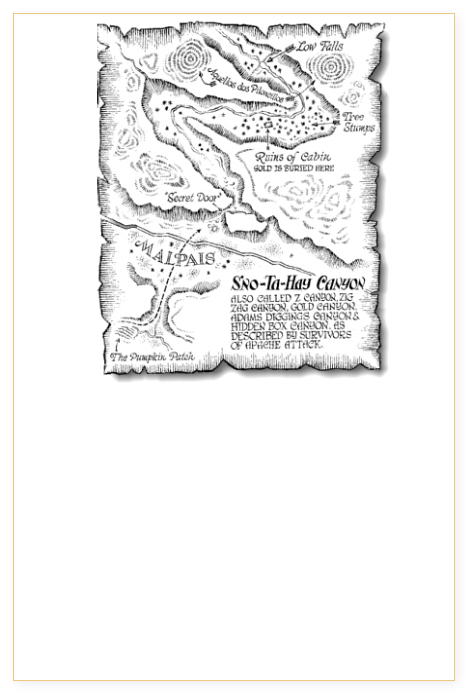 While some of the outlaws were apprehended, the whereabouts of the gold remained elusive giving rise to speculation that it is still hidden in the Malpais. Lost gold on the Rez? Maybe! 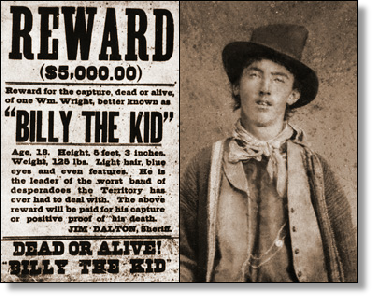 Whatever happened to Billy The Kid? 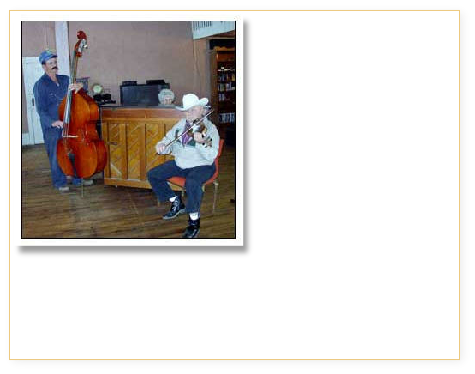 The rich musical history of Ramah, New Mexico was recently made into digital recordings from crumbling analog tapes. Did Billy The Kid Live into Old Age in Candy Kitchen, NM? Billy The Kid in Timberlake? Once upon a time, a pool of dependable water at the foot of a great cliff dictated that travelers stop here. It was the only sure water for about 40 miles in any direction. 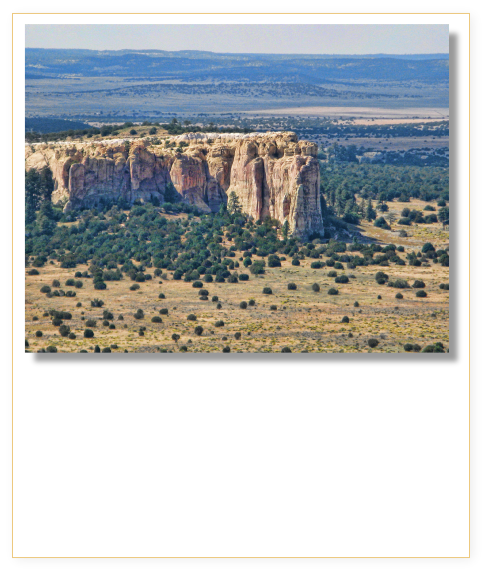 Once it sustained a fairly large ancestral pueblo village atop the bluff before it successively quenched the thirst of Spanish Conquistadores, missionary explorers, and others of the Spanish colony known as Nuevo Mexico.